This entry was posted in Art, Biodynamics, culture, English Wines, wine and food, wine tasting, wine tourism and tagged Anselm Kiefer, Davenport Vineyard, English wines, Royal Academy, sparkling wine, United Kingdom Vineyard Association, wine and art, wine and food pairing, wine tasting notes, wine tourism by elizabethsvines. Bookmark the permalink. Thanks for your comment. 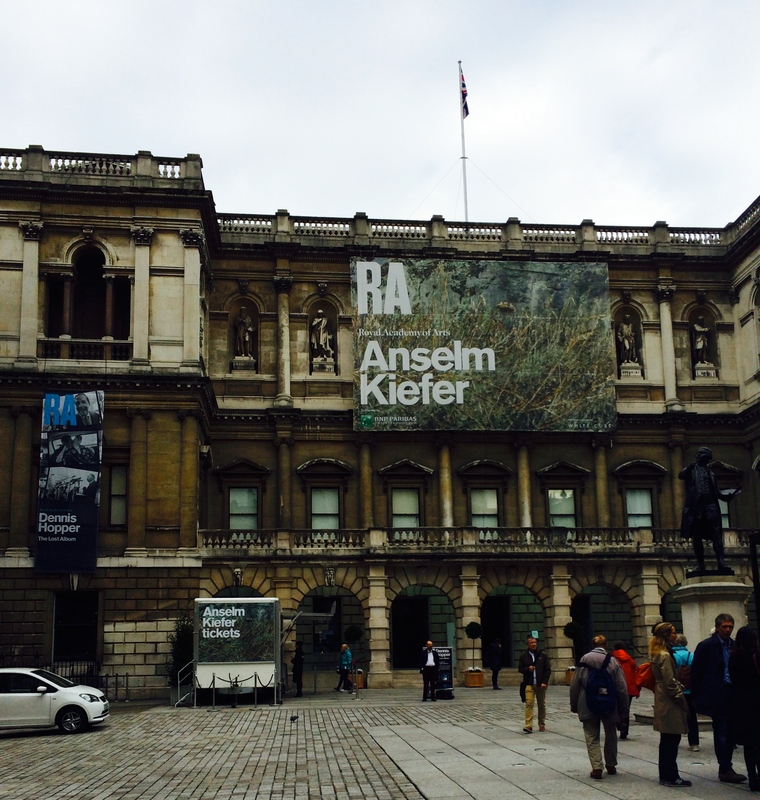 I must admit I wasn’t familiar with Anselm Kiefer’s works before we attended the exhibition. As you probably know, his work is monumental. The painting on the poster is in the exhibition and is very eye catching. We particularly liked the triptych vitrine of trees he created and also the thought provoking sculptures made out of all sorts of recycled materials. Enjoy the sparkling wine!